The HPE ProLiant DL20 Gen9 Server provides a reliable data protection and security with enhanced processor performance and speed. The ProLiant DL20 Gen9 Server Rack Mountable from Hewlett Packard Enterprise boost an increase up to 26% in compute performance with Intel Xeon E3-1220V6 / 3 GHz (3.5 GHz) (Quad-Core) processor. The HPE ProLiant DL20 Gen9 Server rack mount maximise system availability and allows extensive error recovery and diagnosis with built -in- redundancy. 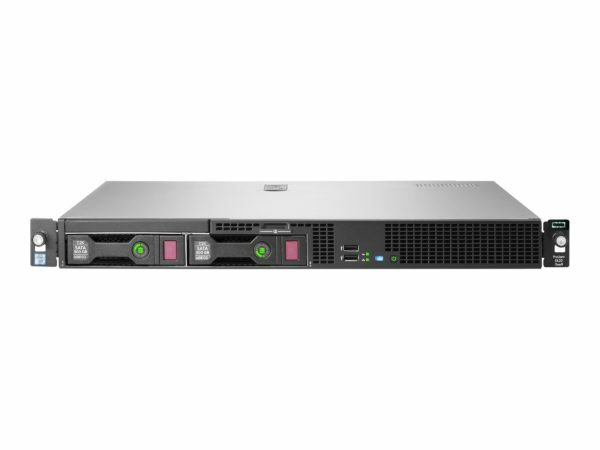 The HPE ProLiant DL20 Gen9 Server Rack Mount supports improved Intel Turbo Boost Technology 2, Intel Smart Cache standards. Increase in processor performance with Intel Xeon E3-1220V6 / 3 GHz (3.5 GHz) (Quad-Core) processor. This 1-way rack-mountable Server comes with 8 GB installed memory and allows for a maximum of 64 GB.